If you’re reading this guide, it’s likely that you want to improve your memory or focus. Neuro enhancers or smart drugs are often a popular choice among students, learners and adults. The truth is that everyone wants to have a better memory, and if you look this up, you’ll likely find people talking about nootropics. But what in the world is a nootropic? Nootropics are essentially supplements that you will take to boost your memory power. And if you’re trying to define nootropics, you would classify these as: memory supplements or foods that improve mental function. Many of the nootropics that you will find on the market are used for people with memory -related diseases (think Alzheimer’s disease or dementia). The best nootropics work much like your multivitamin that you take in the morning. These supplements will accumulate over time in the body, like vitamins. When you first begin taking them, you may not notice an immediate difference. This is because your body is still lacking the essential vitamins that it needs to operate at 100% capacity. Over time, your body will begin to use these supplements to start changing chemically. It’s a rather easy concept to understand. When you first begin going to the gym, you may not notice immediate results. You may notice that you’re sore, or your strength may increase slowly, but if you were to keep at it for two or three months, you’ll notice that your body begins to change. You have more stamina, you may be trimmer, and you’ll look better. This is exactly what happens when you take a nootropic, but it happens internally with the brain. We’ll be discussing various types of nootropics, and how each one works individually. Since each has its own unique chemical makeup, minerals and nutrients, they will all work differently. It’s important to note that the best nootropics will need to be taken routinely to experience results. This is not something that you can take for just a few weeks and keep reaping the benefits when you stop taking the pills. It doesn’t work this way. What better place to try a memory enhancer than an educational institute? There have been several studies on nootropics, which we will discuss now. One study shows that 0.7% to 4.5% of students in Germany have used cognitive enhancers. Another study showed that 5% to 35% of college students have used performance enhancement drugs, such like those found in ADHD medications to boost their academics. A major issue is that it is rather difficult to judge or analyze exactly how much more memory retention a person will have after taking a supplement. There may be a chance that the material is rather interesting to the person, or is a topic they know, so it is very difficult to judge the effectiveness of nootropics without looking at a particular type. If you want an example of this, look no further than bacopa. A study on this memory supplement explains how it works scientifically to change the chemical makeup of the brain, and it was shown that this supplement is very beneficial for the retention of learned material. The study also showed that the supplement can reduce the rate of short-term memory loss or forgetting. Brain supplements target various different parts of the brain and the way that we remember information. For example, one supplement may be able to help you increase your cognitive function, while another may boost your memory retention. So, you may take the best memory supplements along with cognitive enhancers, caffeine and other supplements to all work in conjunction to boost your memory. I’ve personally found that I’m a little sensitive to some nootropics – I get headaches after two months of usage. I’m not sure if this is common, but I found that taking them for two months and then stopping for a week or two before going back to them solves my headache issues. Upset stomach, jitters and nausea are something I personally have never experienced. Jitters are normally experienced due to caffeine within the product, so if you’re sensitive to caffeine, you may want to keep this in mind. If you’re looking for the best nootropic for memory, you’ll find that this truly depends on a person’s preference. Most people will start seeing results within hours or days, depending on the product, but full results are not experienced immediately. These are not like magic diet pills that give your results in days, you need to be consistent to get results. Bacopa Monnieri: One of the most popular supplements on the market. Further research is needed, but the two in-depth studies that have been done on this ingredient show that it does have the potential to enhance your memory. Panax Ginseng: This is an ingredient that has been used for centuries in Asia. Many Asian studies point to this increasing memory, increasing speed when performing tasks and an improvement in understanding very difficult material. Salvia Officinalis: Not widely studied, this is still one of the most popular brain enhancers. Gingko Biloba: Several reviews have been done on ginkgo biloba. One study showed that this ingredient does offer significant help with selective attention, long-term memory and executive processes. Racetams are what you’ll find with over-the-counter products. Many of the best nootropic products will fall into this category. Essentially, racetams are packed with several ingredients in an effort to boost your memory. Pramiracetam: A supplement that stimulates the central nervous system. Discovered in the late 1970s, this product has been used in the treatment of memory and attention deficits for aging people. Aniracetam: A nootropic that is considered to be more potent than piracetam. 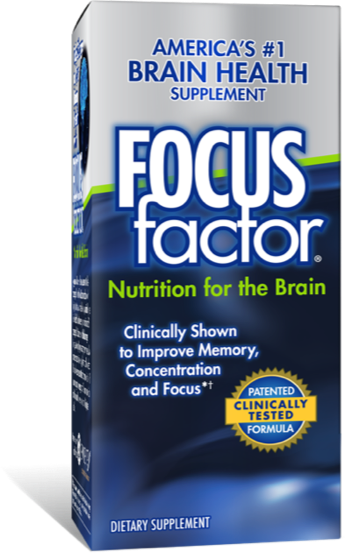 This product has cognitive enhancing effects, and has helped people with Alzheimer’s disease. It’s important to note that this is considered a prescription drug in Europe, and it is not approved by the FDA. Noopept: An extremely popular nootropic. While technically not a racetam because of its chemical makeup, this product is often grouped into the same category. Several studies have been done on this product, and there have been notable improvements in memory and attention. Our goal is to find the best supplement for memory, and there are a lot to choose from. There are several different over-the-counter products available, and most of them worked to a limited extent. As you can imagine, trying each of these products over time for one or two months is a difficult task considering that there are dozens of products available. But knowledge is power right? The best nootropics are available for an affordable price, and they have been tested time and time again. These supplements offer very few side effects, and have an amazing upside, with various studies done on several of the ingredients included. If you are to take a natural enhancer, I recommend looking at the ingredients themselves and doing your own research on each ingredient individually. It’s not common to find nootropics that are not in their own “stack” form already. Results normally kick in immediately (30 minutes), and they will be able to boost your attention span. Energy improvements and attention span are almost immediately improved, while cognition and memory retention improve slightly over time before you really hit your maximum potential.